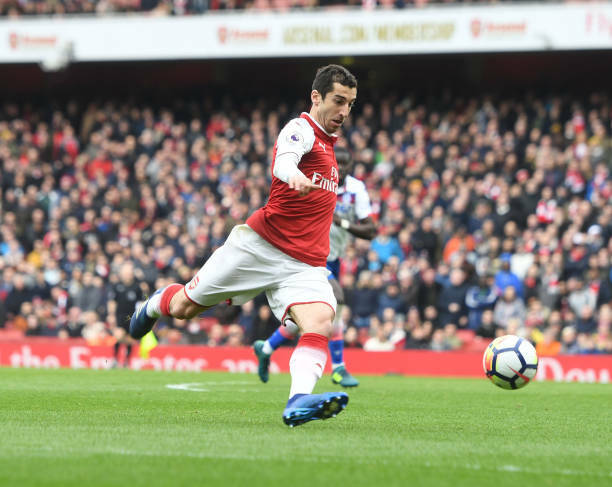 Mkhitaryan arrived at the Emirates Stadium in the January transfer window and the Armenian international has become one of the most loved players in London so the former United player has revealed his dream with Arsenal. Mkhitaryan arrived at the Emirates Stadium in the January transfer window after the gunners made a swap deal with Manchester United with Alexis Sanchez going the opposite side. The gunners were more than satisfied with the swap deal because Sanchez had made it clear that he wanted to leave the North Londoners and what has been more important is that Mkhitaryan has proved to be an outstanding signing who can assist and even score goals. “I want to write my name in the Arsenal history and have my name as a legend here.’ said the Armenian. The Arsenal fans will be excited with the commitment and the desire to win trophies for the club which Mkhitaryan has because it proves that he is now a passionate gunner who loves the team as well as caring for the team. Mkhitaryan will certainly be in action today when the gunners welcome Russian club CSKA Moscow at the Emirates Stadium to play the first leg of the Europa League quarter finals which have begun today with Arsenal starting at home. Mkhitaryan was voted Arsenal player of the month for March thanks to his out standing performances in that month.